Here are most of the books and journals that I’ve worked on in an editorial capacity. With each you’ll find a little background on my involvement. I’m sure something’s missing, and when I think of it I’ll add it in. 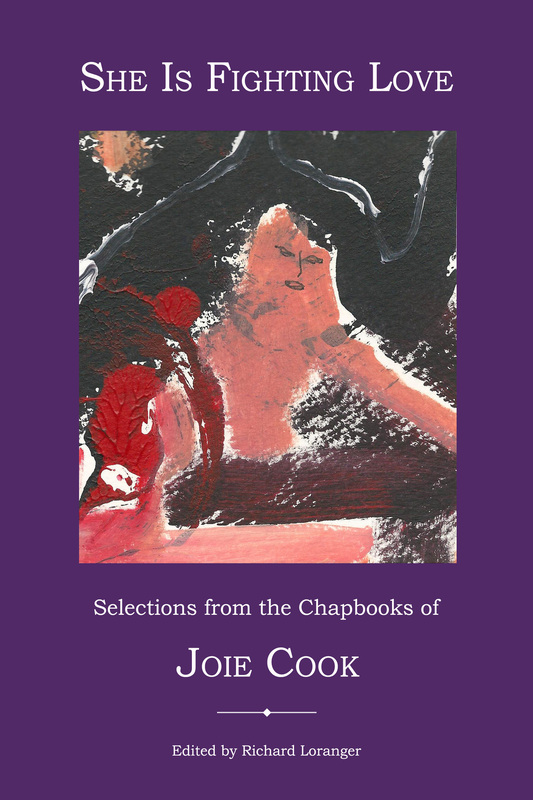 I was approached by Bruce Isaacson of Zeitgeist Press in the spring of 2013 to put together a selected works from the ten chapbooks of Joie Cook, who had passed away earlier in the year. 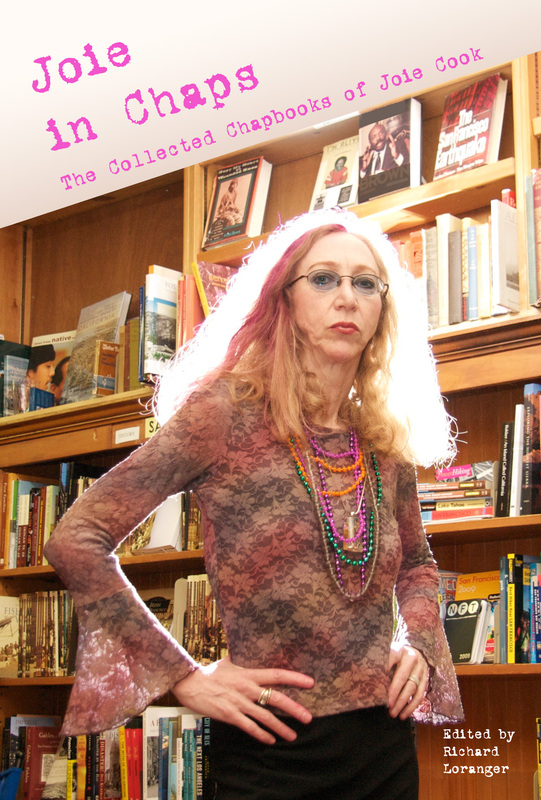 Joie was a San Francisco poet and spoken word artist, most commonly associated with the Café Babar readings, whom and whose work I had known since the early 1980’s. As I read through the typescript again and again, I realized that though I did have a favorites or best of list, I found something interesting and valuable in virtually all of the pieces. So I came back to Bruce with two options: to print my favorites as selections from the chapbooks, or the print the all as the collected chapbooks. He opted to print them both. So now folks can get their first taste of the work of Joie Cook in She Is Fighting Love, or acquire all of her chapbook work in Joie in Chaps, which, along with her other full-length collection Habitat (Manic-D Press), constitutes the bulk of her poetry. great weather for MEDIA has put out an anthology per year of new and diverse work, for the past three years, and has no plans for stopping. I was invited to be the guest fiction editor for their 2013 production, which I have to say turned out quite beautifully, inside and out. In January, 2012, I edited a selection of journal writings by Peter Kadyk, a wonderful artist, dancer, musician, and writer (and a very good friend) who died far too young of AIDS in 2001. The previous April in San Francisco there was a 10-year memorial show celebrating his life and wild creative energy, with twenty performances by artists from around the country, including music, dance, poetry, film, a marching band, and a local indie choir which Peter had conceived, Conspiracy of Beards. I emcee’d the show, and in preparation I perused all fourteen of Peter’s extant journals, and read selections from them throughout the evening. 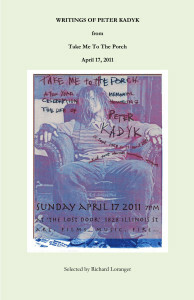 The chapbook contains those selections, along with a list of performances from the night and an invocation for Peter that I performed. 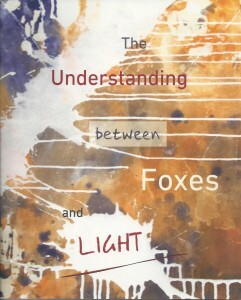 His writing conveys the intensity with which he lived, and I recommend a gander. Click here to check it out, and I suggest using a two-page view if your browser or reader supports that. 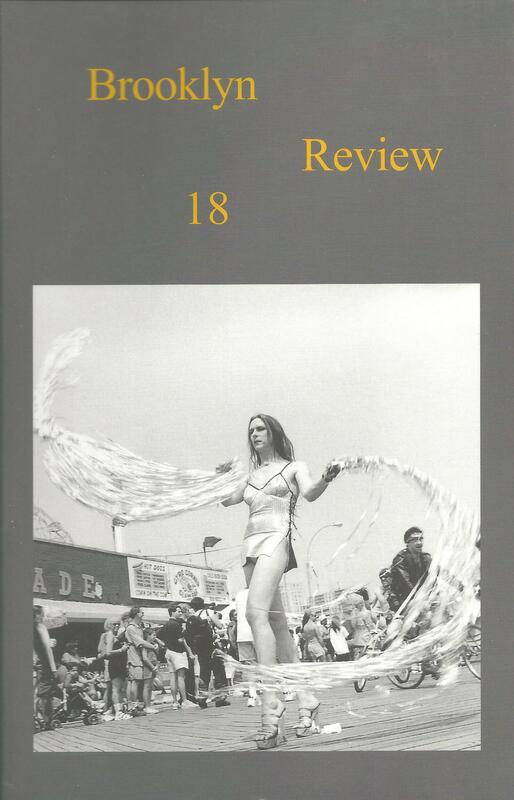 While working on an MFA at Brooklyn College, I became Editor-in-Chief for Brookyn Review 18, the annual journal put out by writing grad students there. 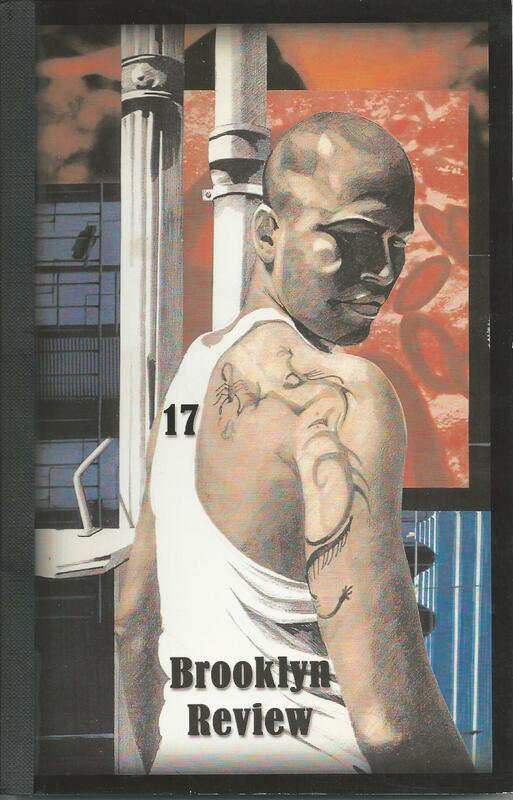 My team and I brought the review back from a run of slim, haphazard volumes to its earlier glory with a much-lauded 220 page compendium of 82 current writers and artists from Brooklyn to Hawai’i. While Brooklyn College does not sell copies of their journals (who knows why, as some of them are fabulous), I found one copy on ABE Books (click on the title above), and I might have a few extra around, so if you’re interested in acquiring one, just let me know. I was on the editorial board for poetry for Brooklyn Review 17 while in the MFA Writing Program at Brooklyn College. 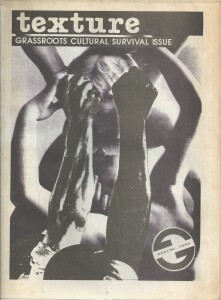 I became editor-in-chief for the next issue (see above). Near as I can tell, there are no loose copies of #17 extant. 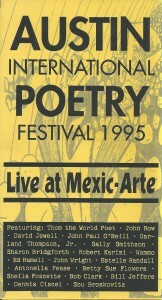 With the fabulous Eddy Weiss, I helped to edit an hour-long video of highlights from the Austin International Poetry Festival in 1995. The fun part was that I got to hanging around in the Austin Public Access TV Center playing with dials, though Eddy did most of the dialing. He was the techbrain and I collaborated on piece selection and ordering, and a few aesthetic issues. 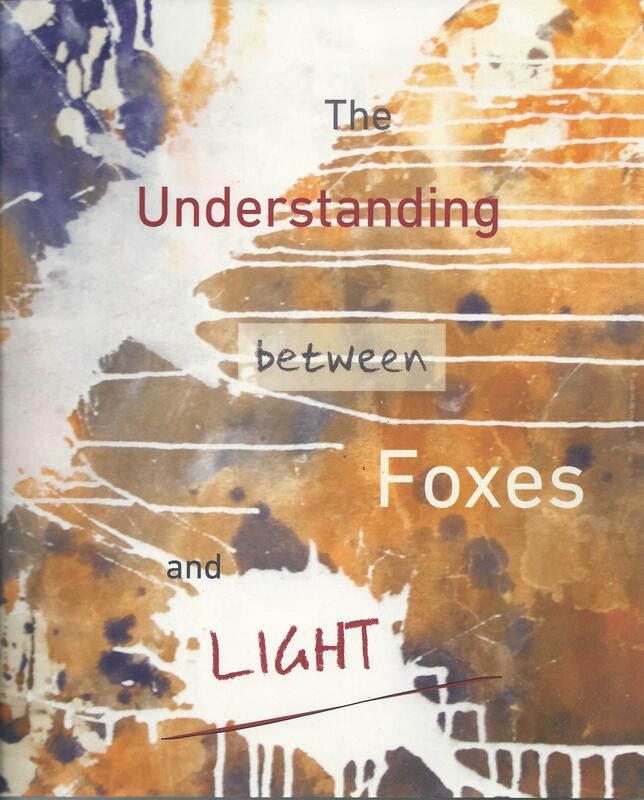 It turned out to be a pretty great document of twenty poets from the U.K., U.S., Australia, and Texas reading at the top of their game. It’s not available anywhere, but you can view a reasonable if not amazing transfer on YouTube by clicking here or on the title above. Totally check it out! We Press has been known for decades for pushing the boundaries of the word, and sound, and image, and media in general to produce unique and occasionally unprecedented work. 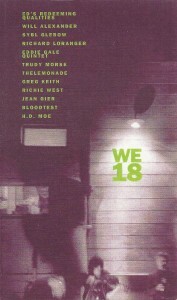 Issue #18 of their journal was a venture into video which documents performances by more than a dozen poets and musicians, including Ed’s Redeeming Qualities, Will Alexander, H.D. Moe, the Eddie Gale Quintet (in a tribute to Sun Ra), and the rarely documented Bloodtest. Amidst and surrounding these performances is a lot of fun (but not intrusive) early video experimentation and just plain overall play. I was honored to be part of the We production team for this venture, which was basically 5 guys crammed in an attic for a week with 1000 gallons of cheap coffee and beer juggling cables and nuance. It’s actually quite fab, and if you have the means to snap on a VHS, I def recommend picking it up. I do hear there’s a digital transfer in the works, so if you have any interest, keep your ears peeled, and I’ll mention it here when I get The Word. 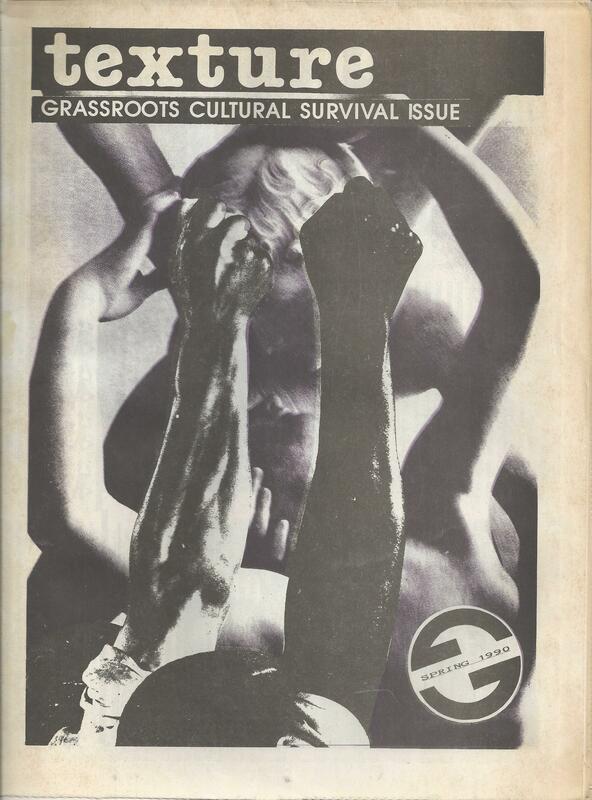 I worked in a number of capacities for a few years on Texture Magazine, an quarterly art and culture newsprint publication that came out of Boulder from 1988 to 1991. Texture was co-founded by David Fodel and Stacey Bernstein, who have since gone on into multimedia and other arts. 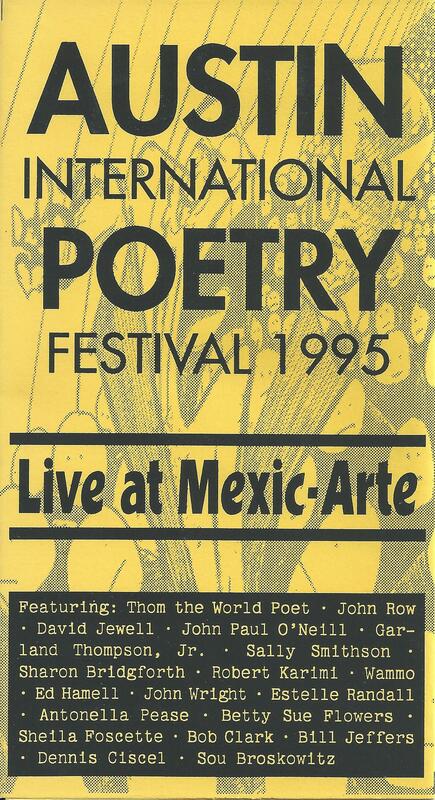 I had the honor of being poetry editor for a few issues, and as well wrote a few articles, including an extensive expose on the Naropa Summer Writing Program in 1991 entitled “Behind the Rice Paper Curtain”. (Haha.) Also did some good old fashioned lay out and paste up – yaah, that was done with real paper and scissors and paste and everything, y’all!